This Full-Size foam tray divides into 6 compartments in 2 different sizes. The four rectangular compartments on the outside and 2 square compartments in the middle are particularly suitable for larger and bulky tabletop and board game miniatures, like vehicles or monsters. 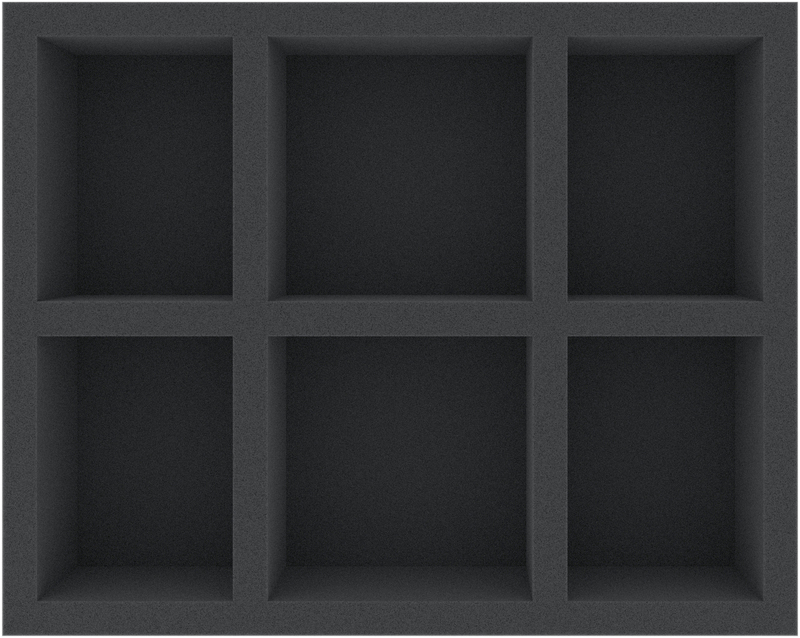 Also game material, such as tiles or tokens, can be stored neatly and securely here. 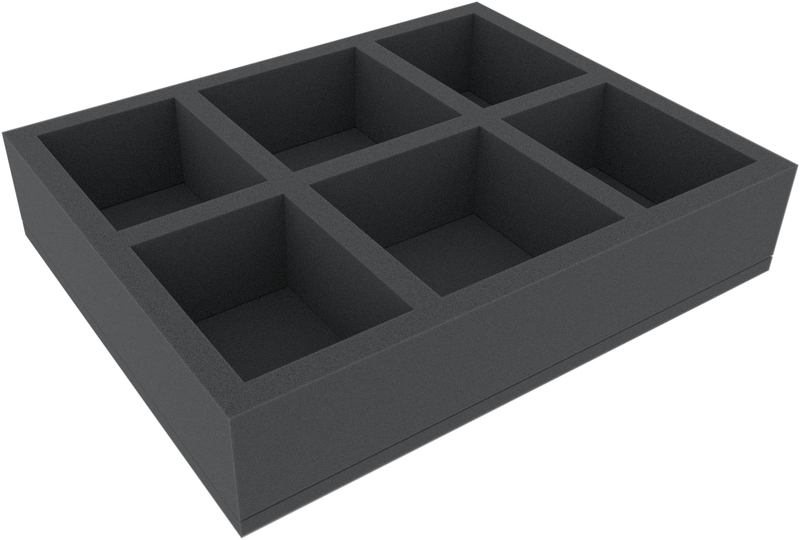 This foam tray has the dimensions: 345 mm x 275 mm x 70 mm total height (60 mm usable height + 10 mm foam base).